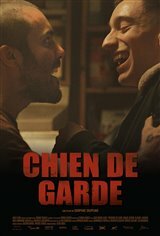 JP and his younger brother Vincent work as debt collectors for their uncle Dany, a small-time drug dealer who exercises a great deal of control over them. The brothers live in a modest apartment in Verdun with their mother Joe, who is struggling with alcoholism, and Mel, JP's girlfriend. JP, overwhelmed by their illegal activities and Vincent’s frequent violent and unpredictable mood swings, no longer knows where to turn. Although his relationship with Mel brings him comfort, he has a hard time seeing the day when they’ll be able to leave the family nest. The situation escalates when Dany puts more pressure on him.